The medium-sized family business KKA has its origins in 1862 and has been based since 2011 in the greater Leipzig area. Quality, reliability and participation in dealing with customers and in the projects characterize the essence of KKA - Kleinewefers Kunststoffanlagen as well as the other companies and partners of the corporate family. We pursue this approach to the outside and also to the inside. This is evident in the long-term cooperation with customers as well as the long affiliation of our 70 first-class trained and motivated employees. It is above all skilled workers, masters, technicians, engineers and doctors. Their loyalty to the company is of real value. After all, many years of experience, well-rehearsed processes and short distances are the keys to smoothly running Projects. Kleinewefers Kunststoffanlagen has been demonstrating high class performance in finishing web type materials by providing innovative and reliable technical solutions as well as an excellent service. 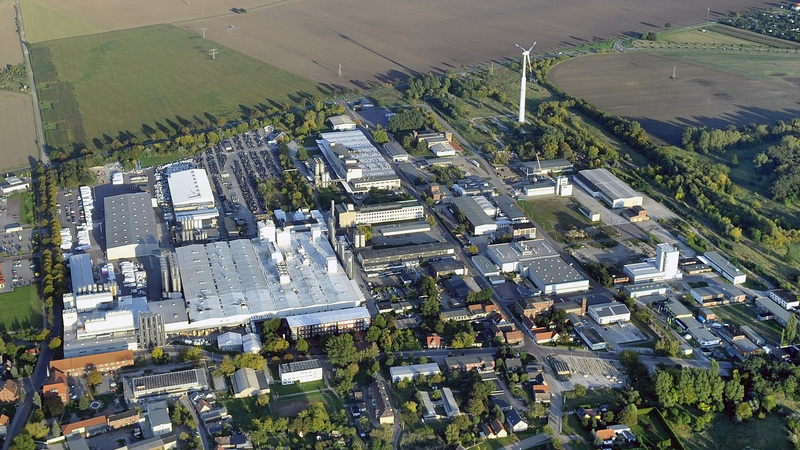 Today’s core competences of this long-established German company include turn-key plants, single components, peripheral manufacturing equipment and a comprehensive service offer. 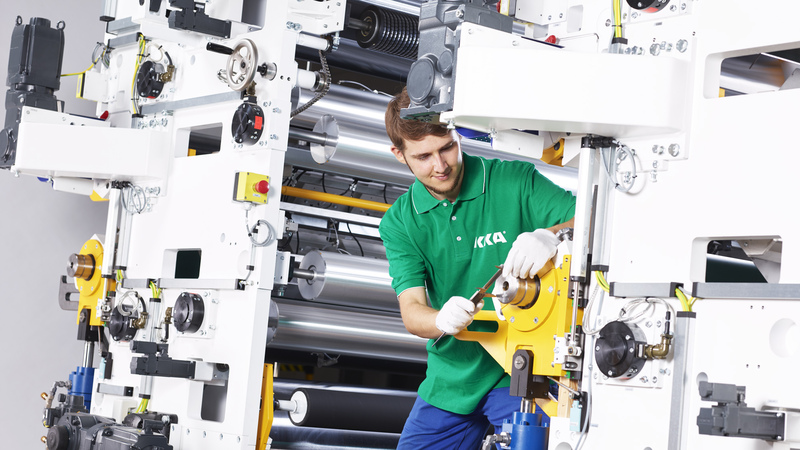 KKA GmbH’s complete business activities range from plants for the automotive industry and for furniture decoration to a broad field of applications for technical textiles, as well as to the production of adhesive tapes and floor coverings. In addition to that, the company’s profile is completed by special applications in the field of mobile energy sources and services related to process engineering, including machine upgrade services and equipment modifications. 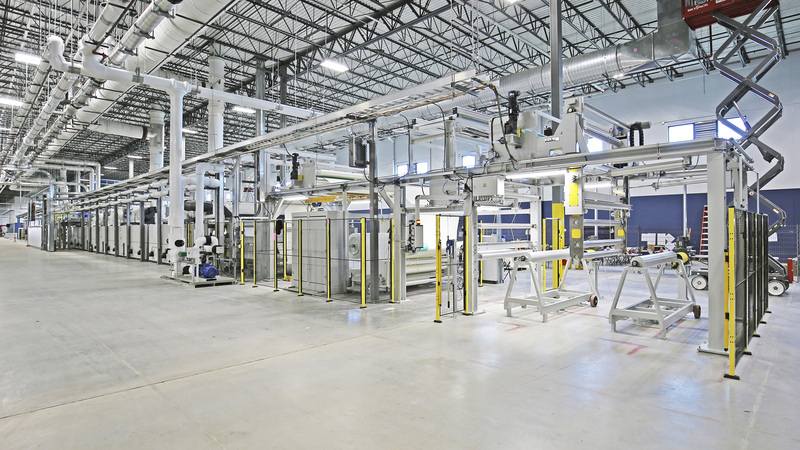 Due to high vertical integration, a direct influence on all development and manufacturing steps is always guaranteed. Using the latest engineering tools (3D-CAD, FEM analyses, static and dynamic simulation) and on the basis of our fully integrated, sizable production capability with in-house control engineering division we are able to offer efficient services from the first sketch to delivering first-class plants. We care for your equipment - from planning the design study to commissioning, integrating and servicing all components. As our customer, you can tap into the wealth of experience offered by our experts which, together with a qualified team of professionally trained service technicians, forms an integral part of our services. Among our customers are renowned, worldwide operating corporate groups, companies and research institutes who produce first class products on Kleinewefers Kunststoffanlagen equipment. Many of these powerful and enriching business relationships have been cultivated for decades. Our strength lies in providing comprehensive solutions for the producing industry.